Waiting for the Barbarians - C.P.Cavafy. (Translated by Richmond Lattimore ). So much for a restful week off work! 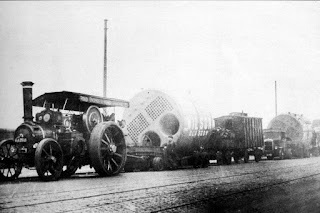 The boiler was delivered and fitted with everything now shipshape and Bristol fashion. The best part was the British Gas engineer who was delightful, attentive and got the job done to the highest standard. I could not have asked for a better engineer. But as ever, these things are sent to try us and it did so big style. Not enough gas pressure coming in from the mains - a chap comes out, tests and he remains unsatisfied. A large lorry plus several crew members arrive with the gas turned off for the street and two large holes dug in our front garden and the pavement. A job that could have been completed in one day turned into three days and the offending culprit was a large lump of clay stuck in the pipe. As the National Grid engineer explained it is unusual and shows that whoever fitted the pipes was an idiot. All in all the job was done, all of the workmen bar one was excellent and fussed over the pooch and we can now relax. I didn't think it was that stressful but yesterday evening and this morning I have a stiff neck and very tense shoulders. I guess that answers how stressful I do find it having workmen in. In other news, the pooch needs her own servicing and I have been phoning around to book her in for grooming. I have attempted to trim her claws but she panics and howls the place down. So she needs professional attention but also of the veterinary kind. She is now incontinent of urine, only small damp patches but indicative of a growing problem. I just have a mop, bucket and bleach available but it can't be comfortable for her. She is unable to walk far these days with a round trip of one mile now the absolute maximum she can walk and that is at a slow pace. Poor old pooch is nearly twelve years old and she is increasingly showing her advanced age. I must away as for the first time this week there is sunshine! After an absence of three weeks with real life needing my attention I have returned. Real life sadly consisting of work for the main part but I now have a week off for some much needed R & R. I also have the gas fitters coming in with the new boiler and will be at home to ensure all runs smoothly. 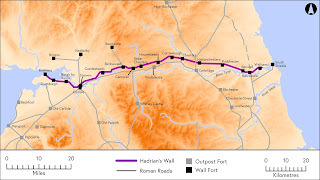 I have also started another on-line course courtesy of Future Learn , It is the 'Hadrian's Wall: Life on the Roman Frontier' course and it will last six weeks in total. I have always planned to visit and so I leapt at the opportunity to bone up on the history and background information. The courses are generally quite short in length and are all free. I heartily recommend them as an introduction to subjects of interest and keeping the old brain ticking over. It is also a great way to escape the humdrum world of mental health for me. 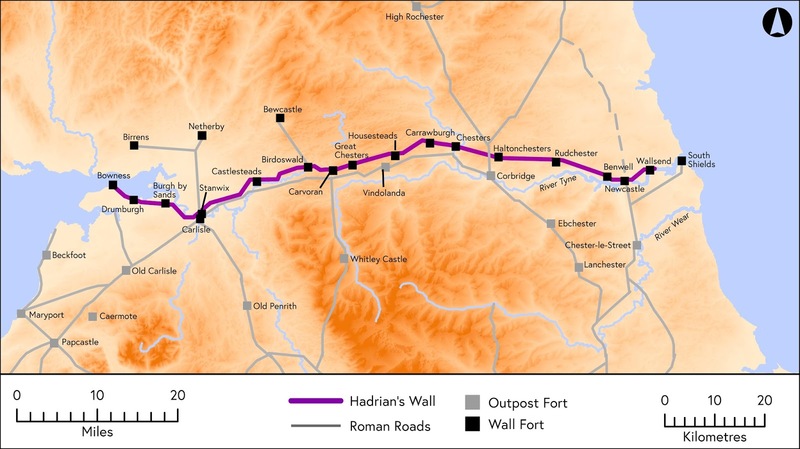 I plan to spend a couple of days visiting the wall later this year for a taster and then next year once I am fully fit to walk several parts of it. Always an ambition of mine since I was bitten by the history bug and particularly so following school trips to Verulamium and Camulodunum when I was a nipper. I particularly like connecting with other students from all over the world and I have completed several courses so far apart from one, 'Introduction to Dutch'. I intend to return to that one at a future date when it is repeated and I have the time. Sadly, work and staff shortages at the time left me little spare time for anything beyond sleeping. I've so far completed an eclectic bunch with 'World War 1 Aviation', 'WW1 Trauma and Memory', 'England in the time of Richard 3rd' and 'Irish Lives in War and Revolution' amongst them. There's an astonishing choice and well worth having a look. Apart from the above I intend to get some walking in and fresh air into my lungs. Getting away from dealing with the problems of others, endless paperwork and the computer will be a welcome balm for my tired brain. It is also coming up to Midsummer although the summery aspects have gone absent without leave. The nights will begin to draw in!! A work colleague mentioned the team night out for that festive activity in December. No, I am not going to name it in June. She was deluged with derogatory comments from all and sundry for her sins. For today, a brief stroll about town and a possible stop off in the coffee shop may be in order.